Why a post about a book cover? The cover will be the first thing potential readers encounter online. Readers of the print version will see the cover before the content. And readers of digital, audio or braille versions may miss the design details. The cover matters. Especially one covered (pun intended) with hexagons. What do hexagons have to do with a book about resolving claims without lawsuits? How does a universal six-sided shape relate to a book that gives readers the tools they need to use a cost-effective win-win strategy with a twenty-year track record? A book filled with stories of blind community advocacy and digital technology advances? Read on. The words Structured Negotiation are printed in large white text on a vibrant red band (color contrast checked for readability). The subtitle appears below in black text, with my name under that. The background of the cover is made up of three dimensional and shaded white and gray hexagons. A hexagon is a six-sided shape. There is text on two of the hexagons on the bottom left corner. One hexagon says ABA Section of Dispute Resolution. The other says ABA Commission on Disability Rights. These are the two parts of the American Bar Association sponsoring my book. 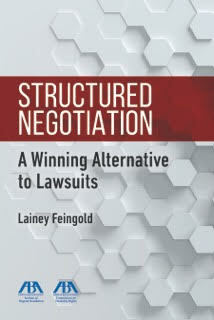 Why is the book called Structured Negotiation: A Winning Alternative to Lawsuits? Structured Negotiation is a collaborative dispute resolution process that my colleague Linda Dardarian and I pioneered in the 1990’s and that we and others have been using ever since. In Chapter 1 you can read about how the process — and its name — took root. After twenty years and dozens of cases with successful outcomes, the subtitle “A Winning Alternative to Lawsuits,” is best way to communicate the essence of the book. But hexagons? I never considered that my book needed a shape. When I first saw the cover that the American Bar Association creative group designed, I was puzzled. Why a background of hexagons? It looks like a geometry book! I showed a friend the design and she ventured a guess. “Well,” she said. “Your title is Structured Negotiation — and a hexagon is a shape with lots of structure.” I decided to go with it, and began researching hexagons. I even crowd sourced the question on Facebook, asking friends for examples of hexagons in nature, art, and spiritual traditions. The more I learned, the more I understood that hexagons are the perfect shape for Structured Negotiation — an alternative dispute resolution process that skips the lawsuit, avoids conflict, and focuses on solution. A honeycomb is comprised of hexagon-shaped waxy cells that bees use to store honey and eggs. To build the hive, bees work together in colonies. Their cooperative behavior determines the survival of the entire group. Bees are so in sync during the building process that scientists refer to a bee colony as a “superorganism,” – a multitude acting as one. In Structured Negotiation parties that would be adversaries in a litigated case cooperate to find a just resolution to disputed claims. Without cooperative behavior, the process cannot succeed. Structured Negotiation occurs without a lawsuit on file. If the parties are not in sync, there is no external force to get them on track. But humans are not bees; cooperation may not come naturally to lawyers or clients. They need the structure of Structured Negotiation. In the book I talk about how to make sure parties stay in sync toward the common goal of claims resolution. Chapter 5, for example, talks about how to write an opening letter that invites participation in a collaborative process. Chapter 6 explores ground rules that keep the process humming. Chapter 9 talks about how to overcome negotiating obstacles, and Chapter 10 cautions participants of the need to protect the negotiating landscape. A chapter about cooperative language, and a chapter about negotiating traits such as patience, equanimity and trust, are designed to help people do what bees do naturally — work together toward a common goal. Each cell fits together snugly; none of the waste that would occur if each waxy space was a circle. So perfect is the shape that the hexagon is repeated throughout nature. Bubbles on a watery surface assume the hexagon shape. A fly’s complex and multi-functional eye? Hexagons throughout. Structured Negotiation is efficient too. Chapter 7 of the book discusses how the method allows for information sharing without expensive depositions and other discovery tools. The secret includes effective meetings where participants are at a round table with real communication. The chapter includes a checklist to help readers ensure collaborative gatherings instead of contentious interactions. And Structured Negotiation eliminates waste just like hexagonal cells do. Sometimes lawsuits are the best or only option for resolving legal claims. But when other tools are possible, Structured Negotiation is a highly effective one. The process skips the procedural wrangling that infects the litigation process. Without built-in systems for objecting and defending, parties object and defend less. They cooperate more because cooperation is the foundation of the process. The braille alphabet is comprised of raised dots grouped in cells. Each cell has the potential to include six raised dots arranged in two columns of three dots each. Depending on which of the six dots is raised, a single cell can be used to represent an alphabet letter, number, punctuation mark, or even a whole word. For example, the letter “L” in braille is three raised dots in the left column of a braille cell. The letter “F” is the first and second raised dot in the first column, and the first raised dot in the second column. Visually you can see those letters — my initials — in the browser tab (known as the favicon) when you have this website open. Structured Negotiation has produced many braille success stories. In Chapter 5 you can read how American Express and blind advocates worked together and negotiated an agreement that delivered braille account statements to American Express customers across the United States. One of the claimants in the case was Harvard graduate Paul Parravano. His love of (and need for) braille began early, when his parents gave him six marbles and a wooden block with six indentations to learn Louis Braille’s language. Weight Watchers, the American Cancer Society and Wells Fargo are some of the other companies who participated in Structured Negotiation about claims involving the need for braille. Six-sided hexagon is a perfect representation of Structured Negotiation’s win-win results involving braille. Buckminster Fuller built the first geodesic dome home in 1960, ingeniously using triangular building materials set in a hexagonal design. Iconic and quirky ever since, a geodesic home costs less to build than traditional architecture because of the efficiency of hexagons. Less surface space, lower building materials costs. Structured Negotiation is cost-effective too. And Structured Negotiation allows the expertise of clients to shine through in a way that is rare in litigation. The book is filled with stories of how blind people have been able to share expertise about usable websites, accessible pedestrian signals, Talking ATMs, the importance of talking prescription labels and other technology. Without the rigidity and expense of depositions, Structured Negotiation allows participants to speak directly to each other. Structured Negotiation does not have a 50 million year track record. Not even close. But for two decades it has helped parties resolve disputes while preserving relationships and avoiding unnecessary conflict. Settlement agreements born of Structured Negotiation have helped some of the country’s largest organizations change policies and adopt new technologies because cooperation breeds commitment. As discussed in Chapter 15, relationships formed during the negotiation process carry forward to implementation of settlement agreements. Court oversight is not needed when shared goals have been embodied in a settlement reached in Structured Negotiation. Throughout the book I talk about the value of that table being round; of it not being a deposition table. My book cover has introduced me to the ways that nature, architects, and the world’s religions find meaning in hexagons. Need to start looking for a hexagonal table. Know about other hexagons that relate to negotiation? Please let me know by using the Contact Page. This post is about the cover of a book. Lainey Feingold wrote the book. It is called Structured Negotiation: A Winning Alternative to Lawsuits. It is about solving problems without lawsuits. The cover background is made up of hexagons. Hexagons are a shape with six sides. 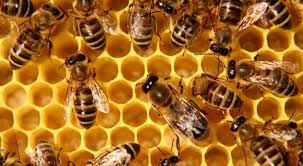 A beehive is made up of hexagons where bees store honey. 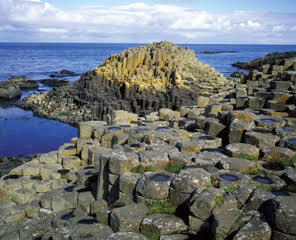 Sometimes volcanoes leave tall rock formations in the shape of hexagons. Even a fly’s eye is in the shape of a hexagon. These natural things relate to the subject of Lainey’s book. Structured Negotiation is efficient just like a bee hive. The parties cooperate with each other just like bees do. Lainey likes the cover of her book. Back to the top of this article. Next Next: Book Launch Celebration!